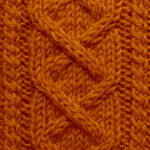 Number of stitches: multiple of 6 (+2 edge sts if you need). 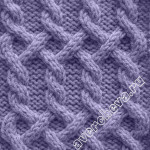 in the WS rows work stitches as they appear. 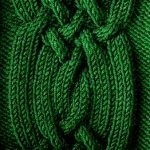 Horizontally repeat the sequence between green lines. 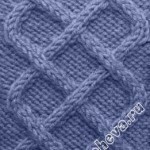 Start your work by an edge stitch, then follow symbols of row no. 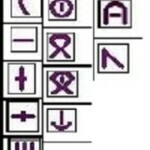 1 from right, i.e. 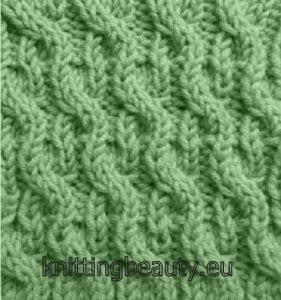 begin by stitches before the right green line, repeat the sequence of stitch symbols between the two green lines and finish the row by the stitches after the second (left) green line. 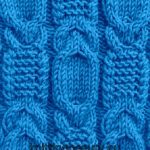 WS rows are not displayed in the chart. 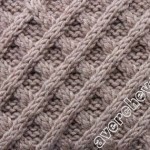 Work all WS stitches as they appear (i.e. 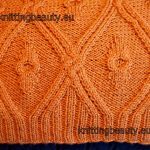 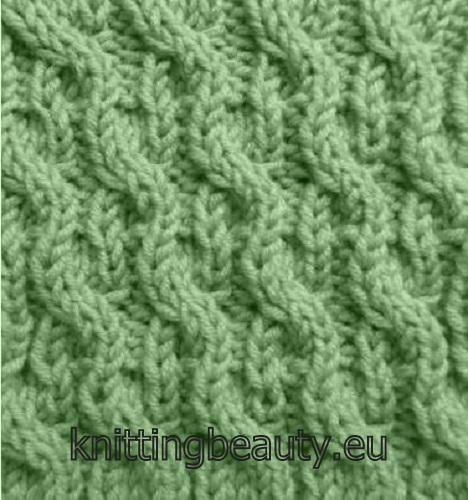 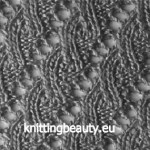 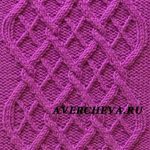 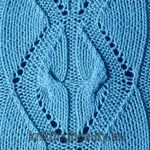 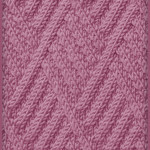 – as you see them: Knit k stitches, purl p stitches).